This Excel dashboard report displays key data from projects in a single page and features dynamic dials which update from data. Automatic Dials! Dynamic Excel Dials – 4 main dials which indicate project or performance status. Easy to understand – Easy to interpret and dynamically displayed to add a professional air to status updates. The orange LED Excel Dial Dashboard automatically moves the dials with your data. The white Excel Dial Dashboard automatically changes the dials with your data. The Excel Dial Dashboard Report has stylish blue LED Dials which are automatic. So how do I download this now? How do you send my templates to me? Use the button below to "Add to cart". Click "Checkout" and use one of our secure payment options. You will then get immediate access to download your templates. Your receipt and your download links will be emailed to you. Download your templates and they are ready to use! Your security is important to us. Find out more about our secure payment options. Rating for Dynamic Excel Dashboard Report Template Template: 4.5 out of 5 , based on 2 customer reviews. 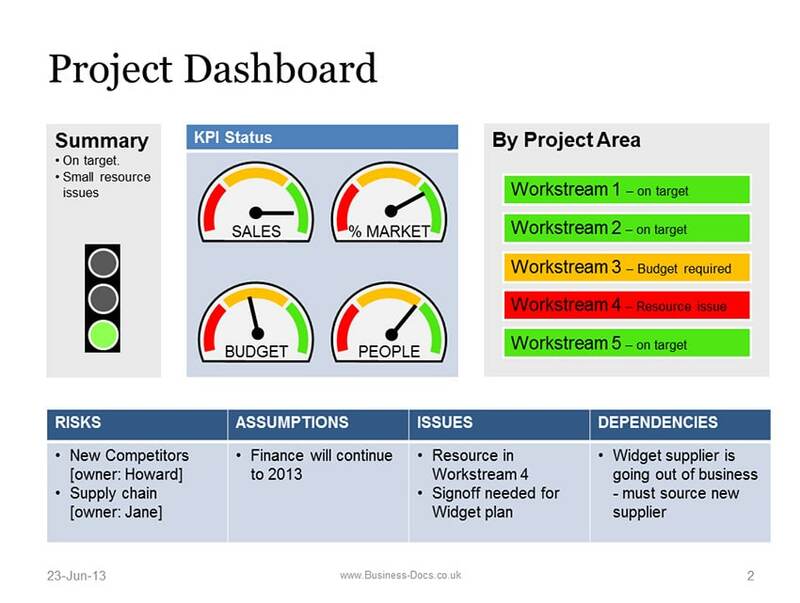 The SWOT Dials template dynamically updates the dashboard dials readings with your SWOT Analysis scoring. This Powerpoint Project Dashboard with Status Template is easy to edit. Download it now! The dials & status graphics are simple to change. This Product Roadmap with Dashboard Template combines the classic roadmap format with a Dashboard section. Ideal for Exec Summary and product updates. The Powerpoint Project Status Template has 13 Status Templates to help you with all project updates and Executive Board Status Reports. Instant Success. How do I present a Project Update? Used by professionals in 90 countries. The Status Template Toolkit includes the best Business Dashboard, Report and Status Update templates at a massive 65% discount.